NVIDIA recently released the GTX 1080 Ti and it looks like NVIDIA and Add-in-Board partners were underestimating demand again since the GPUs are all sold out. The 1080 Ti is NVIDIA’s flagship graphics card and aimed dead centre at the high end, PC enthusiast market with an MSRP of $699. Only the Founder’s Edition cards are out yet and they have all been sold out (except for a few scalpers who are offering the units in limited quantities at very high prices). 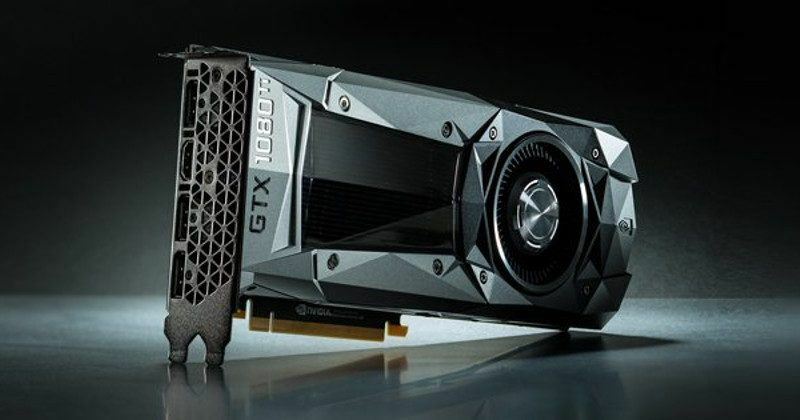 The GTX 1080 Ti being sold out indicates once again, that demand has exceeded NVIDIA and Cos supply expectations for the product – which is always good. Unfortunately for any potential buyers however, there seems to be no way to buy the brand new graphics cared now. We ran our own channel checks and can exclusively tell you that we are expecting the second wave of GTX 1080 Ti supply somewhere around the 25th of March (for the Founder’s Edition). 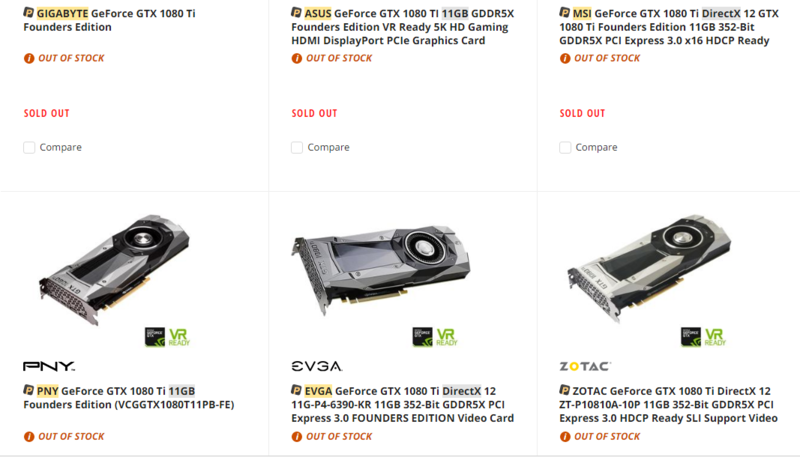 e-tailers like Newegg which do not advocate price jacking are all out of GTX 1080 Tis. Most of the enthusiasts, however, will be waiting for the custom variants to arrive and the expected to date is within 4-6 weeks. This will include the graphics cards with beefed up power supplies and coolers – which are both attractive to enthusiasts since they raise the potential for overclocking and the 1080 Ti is something that will be able to benefit greatly from even a slight OC. Of course, if you are someone with a lot of cash or don’t mind paying the premium for getting your graphics card right now then you can head over to Amazon where there is still a limited quantity of the GTX 1080 Tis Founder Editions available, albeit at a very steep premium of $150 over the MSRP. This price is still cheaper than the Pascal X(P) so I can see why some would be tempted to buy it at the high price anyways given the high end spectrum usually takes time to restock. At the time of writing, the 1080 Ti can be still be bought from a few sellers on Amazon for a significant premium. The Ti is clocked slightly higher than the XP and of course the biggest difference is that the Ti will retail for roughly half the price at an MSRP of $699. The NVIDIA GP102 Pascal GPU packs 12 Billion transistors and has 6 graphics processing clusters of which two come feature disabled SMs. This adds up to a total of 28 SM units with 128 cores each. ASUS, EVGA, Zotac, Inno3D and MSI have also teased their new cards which will be available during launch day.